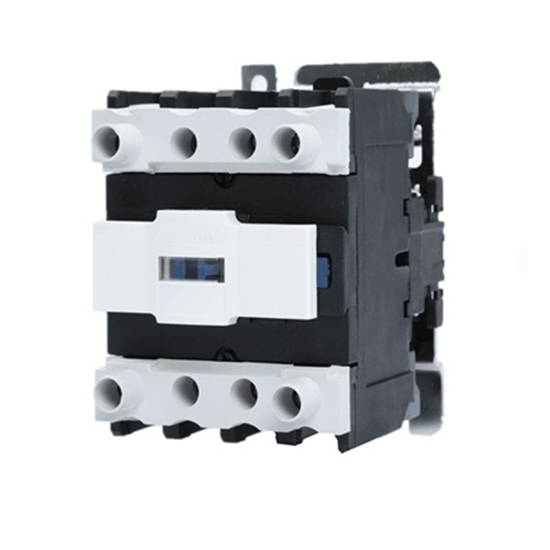 This lightweight and convenient by pass AC contactor 4P(4NO), 4P(2NO+2NC), it has a lot coil voltage to choose like 24V, 110V, 220V. And when the voltage is at 380V, the rated current is 50A; voltage is at 660V, rated current is 39A. It can be used for a long time and is also affordable. The good performance by pass AC contactor provides 24V, 110V, 220V coil voltage, rated at 18A when used at AC-3 380V, and 12A when used at AC-3 660V. It has 3 pole, three main normally open contact and one normally open/closed auxiliary contact, and it can frequent start and control the AC motors. The inexpensive by pass AC Contactor is suitable for using in the circuits AC 50Hz or 60Hz, rated voltage up to the 660V, high efficiency and reliability, make the contactor widely used. It has 3 pole. If used in AC-3 380V, the rated current is 32A. When used in AC-3 660V, rated current is 21A. There are 4P(4NO) and 4P(2NO+2NC) of 80 Amps by pass AC contactors with compact structure and complete specifications. It has 24V, 110V, 220V coil voltage for you to choose, direct sale from manufacturer. 9A by pass AC contactor, 3 pole, available with 24V, 110V, 220V coil voltage. It mainly applies to the circuit of AC 50Hz/60Hz, and rated insulation voltage 660V. The rated current is 9A when used at AC-3 380V and 7A at AC-3 660V, for long distance breaking circuit and frequently starting or control the motor. Contactor can frequently start and control AC electromotor. The 50 Amps by pass AC contactor can control 15 kW 3-phase squirrel-cage motor under AC-3 220V, 22 kW motor under AC-3 380V, and 33kW motor under AC-3 660V. Low power consumption and widely used in various with frequency 50Hz/60Hz. It also has an affordable price. 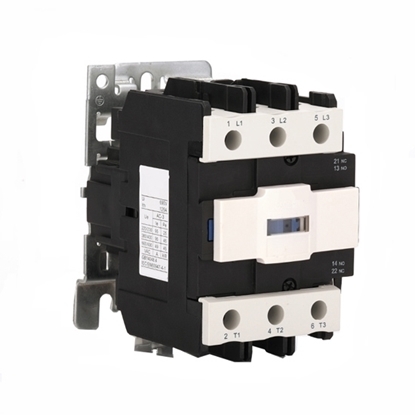 The contactor can be divided into an AC contactor and a DC contactor according to the type of the controlled current. AC contactors are widely used as breaking and control circuits for electric power. It uses the main contact to open and close the circuit, and the auxiliary contact to execute the control command. The main contacts generally have only normally open contacts, while the auxiliary contacts often have two pairs of contacts with normally open and normally closed functions. Small contactors are often used as intermediate relays in conjunction with the main circuit.